Our medicine cabinets provide an interesting peek at our country’s health, and it appears that we as a country are an aching, aging, obese community. 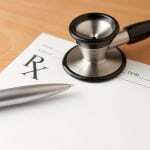 Ten of the most prescribed drugs in 2010 were released in a new report by the IMS Institute of Healthcare informatics. The use of medication is an important topic for all stakeholders in the U.S. healthcare system. The IMS report found that the medications consumed grew at very low volumes (comparatively and historically), and even declined when it came to injectable or infusible medication. Approximately 78% of the nearly 4 billion U.S. prescriptions written in 2010 were for generic drugs. 10. hydrochlorothiazide, a water pill for blood pressure – 47.8 million Rx. Source: IMS Institute for Healthcare Informatics: “The Use of Medicines in the United States: Review of 2010,” April 2011. I am currently in a Pharmacy Technician Course and we are studying the top selling drugs. This article is very useful and interesting and will help me in memorizing generic and brand name drugs as well as the sub-categories. It is also very intriguing to know the top 10 most prescribed drugs.